The Carnatic Wars were a series of military conflicts in the middle of the 18th century between the French East India Company and the British East India Company, including numerous nominally independent rulers. They were mainly fought on the territories in India which were dominated by the Mughal Empire up to the Godavari delta. The First and Third Carnatic Wars were essentially the Indian Colonial front in two international wars - War of the Austrian Succession (1740-48), and the Seven Year's War (1756-1763) respectively. As a result of these military contests, the British East India Company established its dominance among the European trading companies within India. The French company was pushed to a corner and was confined primarily to Pondicherry. The First Carnatic War was the extension of the Anglo- French (Austrian Wars of Succession - 1740) War in Europe. The English navy under Barnett captured some French ships.Dupleix the French Governor General of Pondicherry sent an urgent appeal to La Bourdonnais, French governor of Mauritus, for help. The french troop from Mauritus reached the Coromondal Coast in 1746. They captured the British city of Madras. 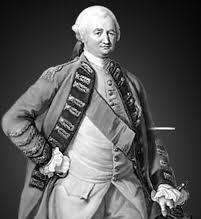 Among the prisoners of war was Robert Clive. With the termination of the War of Austrian Succession in Europe, the First Carnatic War also came to an end. In the Treaty of Aix-la-Chapelle (1748), Madras was given back to the British in exchange for the French fortress of Louisbourg in North America, which the British had captured. After the death of the Nizam-ul-Mulk in 1748, the Nizam of Hyderabad, a civil war for succession broke out in the south between his son, Mir Ahmad Ali Khan (Nasir Jung), and his grandson, Muzaffar Jung. Chanda Sahib, who wanted to become Nawab of Arcot, joined hand with Muzaffar Jung and French force. Eventually Chanda Sahib came into power in Arcot and Muzaffar Jung came into power in Hyderabad. But in 1751, Robert Clive led British troops to capture Arcot. Clive's success led to additional victories for the British and their Nizam and Arcot allies (Mohammad Ali). The war ended with the Treaty of Pondicherry, signed in 1754. The French leader Dupleix was asked to return to France. The directors of the French East India Company were dissatisfied with Dupleix's political ambitions, which had led to immense financial loss. In 1754, Charles Godeheu replaced Dupleix. The outbreak the Seven Years' War in Europe resulted in third Carnatic War. It spread beyond southern India and into Bengal where British forces captured the French settlement of Chandernagore in 1757. Also, British defeated the French in the Battle of Wandiwash in 1760. After Wandiwash, the French capital of Pondicherry fell to the British in 1761. The war concluded with the signing of the 1763 Treaty of Paris, which returned Chandernagore and Pondicherry to France, and allowed the French to have trading posts in India but forbade French traders from administering them. Third Carnatic War, thus ended the French ambitions of an Indian empire and made the British the dominant foreign power in India.